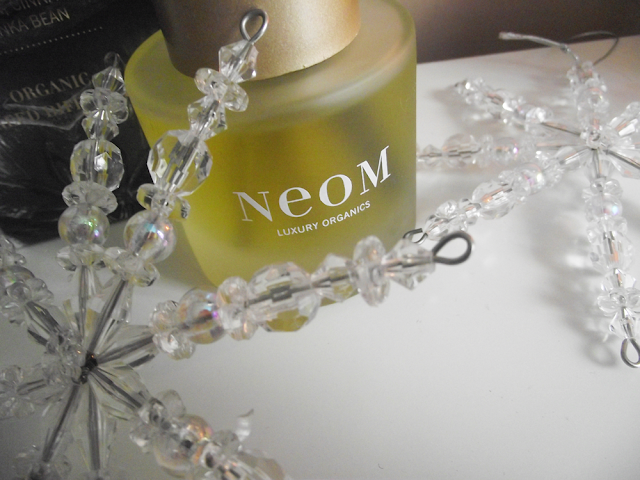 Neom have done it again and released their limited edition Christmas wish fragrance, a powerful mix of Mandarin, Cinnamon and Tonka Bean make the Christmas Wish fragrance come alive. 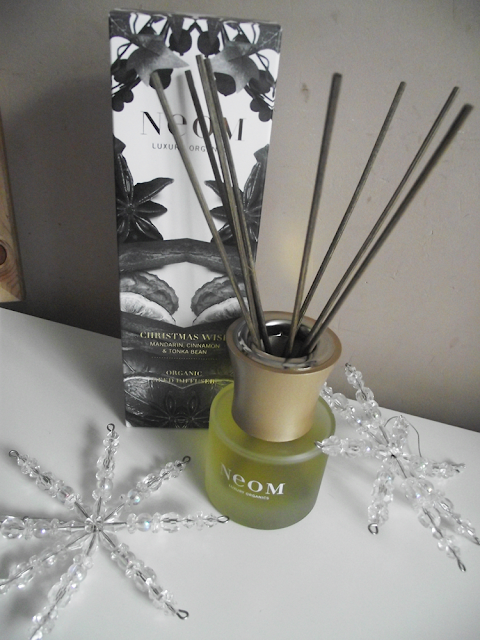 This isn't my first time trying a Neom Organic Reed Diffuser, a little while I ago I reviewed the Happiness fragrance in the Reed Diffuser form and loved it! It's nearly all gone now so this landed on my doorstep at the right time. 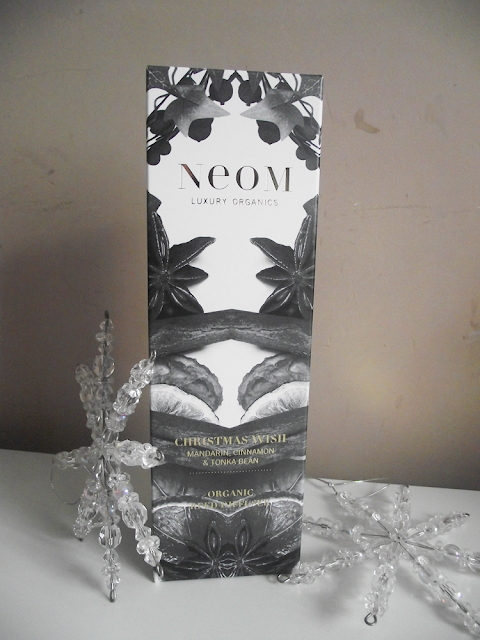 Neom Organics promise is to ensure products aren't made using any nasties such as Petrochemicals, SLS, Parabens, PEGs, Silicone or Animal products. Suitable for Vegetarians and their products aren't tested on animals which gets the big thumbs up from me! The Diffuser comes with a price tage but for quality this is worth every penny and I can say the same about their candles which I adore! So if you want to treat someone or treat yourself make sure you try the Christmas Wish fragrance. The scent just oozes Christmas, a heady spicy festive scent which captures the true meaning of Christmas. The Christmas Wish Diffuser looks exactly the same except for the metallic gold cap which has looks the part on glistening on your mantle piece, just team it up with the Christmas Wish Home Candle and your home will soon be intoxicated in the Christmas Wish fragrance. Our signature, distinctly Christmassy scent is packed with warming spices & soothing fruit notes, for when it's snowy outside & you need a little Christmas cheer inside. Neom Organics are donating £1 from the sale of every limited edition Christmas Wish Reed Diffuser to Make-A-Wish FoundationUK, granting magical wishes to children and young people fighting life-threatening conditions. 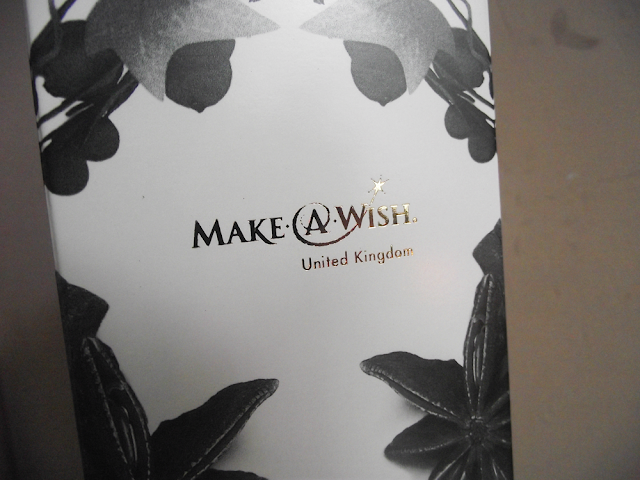 For more information, log on to www.worldwish.org. What are you're favourite scents to enjoy around the home at Christmas time?